Right now I’m working on a cloud service called instant Data Quality (iDQ™). It is basically a very advanced search engine capable of being integrated into business processes in order to get data quality right the first time and at the same time reducing the time needed for looking up and entering contact data. 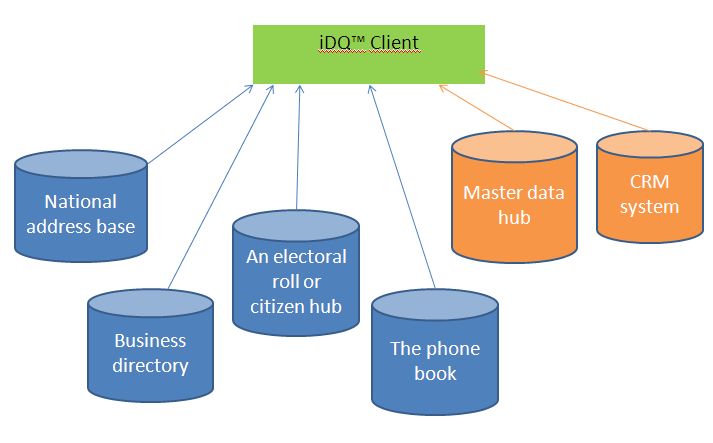 With iDQ™ you are able to look up what is known about a given address, company and individual person in external sources (I call these big reference data) and what is already known in internal master data. The mashup is also a very good foundation for taking real-time decisions about master data survivorship. The iDQ™ service helps with getting data quality right the first time. However, you also need Ongoing Data Maintenance in order to keep data at a high quality. Therefore iDQ™ is build for trigging into subscription services for external reference data. At iDQ we are looking for partners world-wide who see the benefit of having such a cloud based master data service connected to providing business-to-business (B2B) and/or business-to-consumer (B2C) data services, data quality services and master data management solutions. Tonight the European Song Contest finale will be watched by over 100 million people, despite the fact that most people agree about that the songs aren’t that good. The winner will be selected by summing up an equal number of votes from each country. Usually there are big differences in how countries votes. A trend is that some neighboring groups of countries like to vote for each other. Such groups include a “Balkan Block” and a “Viking Empire”. It’s a bit like survivorship when merging matched data rows into a golden record in an enterprise master data hub. Maybe the winning data isn’t that good and several departments probably don’t like it at all. So I see no reason why Denmark shouldn’t win tonight. When working with data quality and master data management at the same time you are constantly met with the challenge that data quality is most often defined as data being fit for the purpose of use, but master data management is about using the same data for multiple purposes at the same time. Finding the right solution to such a challenge within an organization isn’t easy, because it despite all good intentions is difficult to find someone in the business with an overall answer to that kind of problems as explained in the blog post by David Loshin called Communications Gap? Or is there a Gap between Chasms? An often used principle for overcoming these issues may be seen as “survival of the fittest”. You negotiate some survivorship rules between “competing” data providers and consumers and then the data being the fittest measured by these rules wins. All other data gets the KISS of death. Most such survivorship rules are indeed simple often based on a single dimension as timeliness, completeness or provenance. Recently the phrase “survival of the fittest” in evolution theory has been suggested to be changed to “survival of the fit enough” because it seems that many times specimens haven’t competed but instead found a way into empty alternate spaces. It seems that master data management and related data quality is going that way too. Data that is fit enough will survive in the master data hub in alternate spaces where the single source of truth exists in perfect symbioses with multiple realities. A frequent challenge when building a customer master data hub is dealing with incoming records from operational systems where the data in one record belongs to several real world entities. One situation may be that that a name contains two (or more) real world names. This situation was discussed in the post Splitting names. Fortunately most cases only have 2 different real world representations like X and Y or Y and Z. Of course the root cause solution to this will be a better (and perhaps more complex) way of gathering master data in the operational systems. But most companies have old and not so easy changeable systems running core business activities. 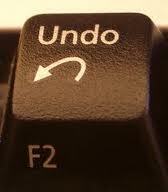 Swapping to new systems in a rush isn’t something just done either. Also data gathering may take place outside your company making the data governance much more political. A solution downstream at the data matching gates of the master data hub may be to facilitate complex hierarchy building. Oftentimes the solution will be that the single customer view in the master data hub will be challenged from the start as the data in some perception is fit for the intended purpose of use. One of the most frequent assignments I have had within data matching is merging customer databases after two companies have been merged. It is often essential for the new merged company to have a 360 degree view of business partners as soon as possible in order to maximize synergies from the merger. If the volumes are above just a few thousand entities it is not possible to obtain that using human resources alone. Automated matching is the only realistic option. I have developed a slightly extended version of this typification here. One of the most common challenges in merging customer databases is that hierarchy management may have been done very different in the past within the merging bodies. When aligning different perceptions I have found that a real world approach often fulfils the different reasoning. The fuzziness needed for the matching is basically dependent on the common unique keys available in the two databases. These are keys as citizen ID’s (whatever labeled around the world) and public company ID’s (the same applies). Matching both databases with an external source (per entity type) is an option. “Duns Numbering” is probably the most common known type of such an approach. 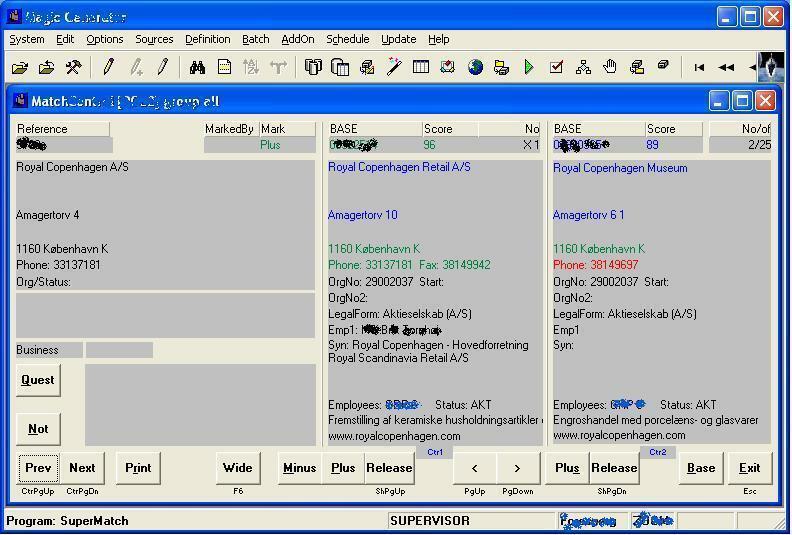 Maintaining a solution for assigning Duns Numbers to customer files from the D&B WorldBase is by the way one of my other assignments as described here. During my many years of practice in doing this I have found that the result from the automated process may vary considerable in quality and speed depending on the tools used. To be honest: Data Quality tools today only solves a very few of the data quality problems you have. On the other hand, the few problems they do solve may be solved very well and can not be solved by any other line of products or in any practically way by humans in any quantity or quality. Saying that you can’t use other product lines for data profiling is actually only partly true. You may come a long way by using features in popular database managers as demonstrated in Rich Murnanes blog post “A very inexpensive way to profile a string field in Oracle”. But for full automation and a full set of out-of-the-box functionality a data profiling tool will be necessary. The data profiling tool market landscape is – opposite to that of data matching – also characterized by the existence of open source tools. Talend is the leading one of those, another one is DataCleaner created by my fellow countryman Kasper Sørensen. I take the emerge of open source solutions in the realm of data profiling as a sign of, that this is the technically easiest part of data quality tool invention. Data matching is the ability to compare records that are not exactly the same but are so similar that we may conclude, that they represent the same real world object. Also here some popular database managers today have some functionality like the fuzzy grouping and lookup in MS SQL. But in order to really automate data matching processes you need a dedicated tool equipped with advanced algorithms and comprehensive functionality for candidate selection, similarity assignment and survivorship settlement. Data matching tools are essential for processing large numbers of data rows within a short timeframe for example when purging duplicates before marketing campaigns or merging duplicates in migration projects. Matching technology is becoming more popular implemented as what is often described as a firewall, where possible new entries are compared to existing rows in databases as an upstream prevention against duplication. Besides handling duplicates matching techniques are used for correcting postal addresses against official postal references and matching data sets against reference databases like B2B and B2C party data directories as well as matching with product data systems all in order to be able to enrich with and maintain more accurate and timely data. Automation of matching is in no way straightforward and solutions for that are constantly met with the balancing of producing a sufficient number of true positives without creating just that number of too many false positives.